Hi. My name is Walter. I am a very cute, intelligent, neutered, chocolate brown and white Dutch boy bunny. I know what I like and am not afraid of expressing myself. I am sweet, but not a pushover. I enjoy being petted and talked with. I also like my private time. 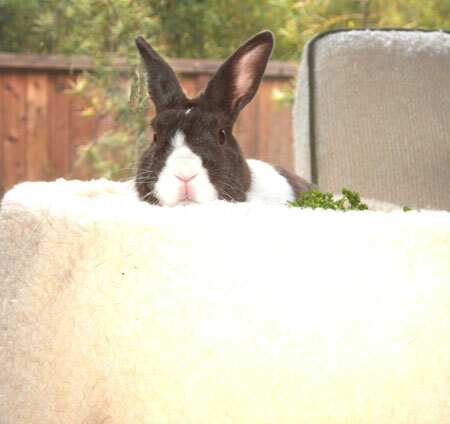 I'm a great choice for people who enjoy bunnies for who we really are---sensitive, stubborn, silly and sweet. We are not like stuffed animals that like to be picked up and held for long periods. But, we are affectionate and really enjoy being with people! I would love to find a home with room to run, play and get lots of attention. Please come and meet me soon!